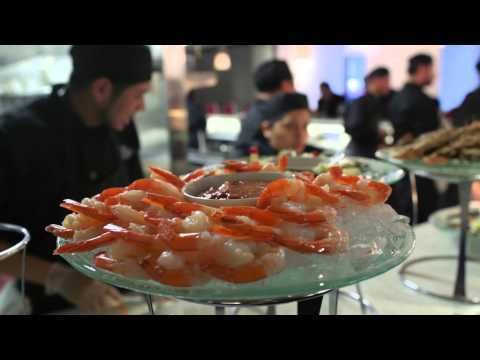 Claudia’s Steakhouses feature upscale private and corporate dining rooms, large elegant indoor and outdoor lounges, and large bars. There are bright color upscale furnishings, decor with warm soothing tones and Latin and contemporary music echoing throughout. The lounges are equipped with contemporary white leather chairs, love seats, and couches and large softly lit bars as its centerpiece. Claudia’s is a modern chic steakhouse restaurant, but with a Latin flare and sensual spices. Prices are competitive with traditional upscale restaurants. However, it is the strategy of Claudia’s the brand to provide superior quality with a perception of higher value than its competitors, through its food, exceptional service, and occasional live entertainment. The atmosphere of a Claudia brand is inviting, upscale and relaxed, to service our professional clientele. Our management team and training staff instills our corporate culture into our employees via a top-down approach. On a continuous basis we will train, motivate and encourage them, and thereby retain the friendliest most efficient professional staff possible. Our staff is uniformed in professional chic attire; our training emphasizes service, service and more service geared towards satisfying and accommodating our professional clients. Providing the uniqueClaudia Steakhouse experience to our customers is paramount.